Ever been.. ahem.. “plugged up” and taken a supplement like Metamucil or bran to help get things moving again? Ever binged on an excessive amount of your favorite fruits in the summer and “paid for it” later? I think we’ve all been there once or twice. FIBER is an important part of our diets, and we always hear that we need to get more of it, but what is it really and why is it so beneficial? Turns out there’s a much more substantial side to dietary fiber than just helping us, uh, “go”. 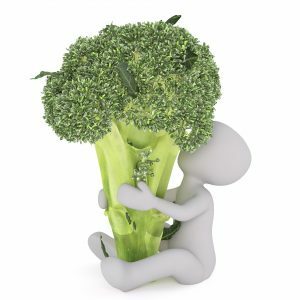 Fiber is a component of plants that the human body cannot digest in the same way it digests our regular food. Therefore, animal products like meat and eggs do not contain any fiber. Cholesterol reduction: Research shows that those eating a high-fiber diet can significantly lower your risk of heart disease, and increasing fiber in your diet can help to lower total blood cholesterol (here and here). Improved blood sugar control: Fiber may help slow the breakdown and absorption of carbohydrates (and therefore sugars) in your gut. This can help treat or prevent insulin-related conditions such as diabetes. Increases in digestive health and functioning: Fiber may reduce your risk of developing nasty intestinal problems like diverticulitis and irritable bowel syndrome. It has also been shown to help improve these illnesses if you already have them. Skin health: It may help in moving yeasts and funguses out of your body, which helps prevent acne, rashes or eczema. Weight management: fiber intake is associated with weight loss among populations. It may help stabilize blood sugar levels to reduce cravings and premature hunger. The jury is still out on whether it helps increase satiety, but it can definitely help some people feel fuller for longer. Soluble fiber readily dissolves in water. When water is added to it, it thickens and becomes sticky, gummy, and/or gel-like. It can help slow the digestion of food and MAY help you feel fuller for a longer period of time. It is important for controlling a spike in blood sugar levels after you eat a meal. Insoluble fiber helps to add bulk to your stools and therefore allows food to pas more easily through your digestive system. It is also cited for removing wastes in our intestines as it passes through. It may also aid in keeping your intestines at an optimal pH, which is important for healthy functioning. Have you ever heard of the term “net carbs” ? 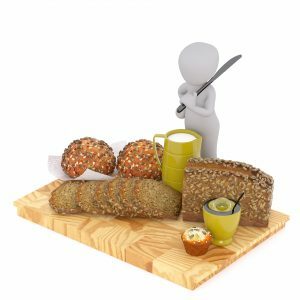 This is the popular belief that fiber, since it is mostly indigestible in the small intestine, does not need to be included in your daily carbohydrate count. For example, if you ate 50 grams of carbohydrates in a meal, but 10 grams of those were fiber, then 50g – 10g = 40g of “net carbs”. Well that’s neat! So I can eat more carbohydrates during the day and just subtract the fiber content? Awesome! More carbs! But not so fast. This concept isn’t accurate at all. Here’s why. Dietary fiber passes through the small intestine (where the other nutrients are digested) and is instead fermented in the large intestine. Therefore, contrary to popular belief, the energy content (aka calories) from fiber is still absorbed and utilized in our bodies. Generally, men and women over the age of 18 should aim for at least 25-50 grams of dietary fiber per day in their diets (that means both soluble and insoluble fiber combined). Be sure to increase your intake of fiber slowly and to drink more water as you do this, which can help prevent gas, bloating, and diarrhea. Also be sure you are getting your fiber from a variety of sources, as you want a good balance of both soluble and insoluble fiber in your diet. It is important to note that not all fiber acts as a stool softener or laxative. In fact, a lot of fiber can help regulate your bowel movements to be more “normal” if you’re having too many. Turns out fiber has a lot of hidden benefits that make it important to include in our diets. Besides keeping us regular, it can help us live a healthier life altogether. If you’re tracking your macros, it’s paramount to also be tracking your fiber. If you think your gut health is lacking one way or another, take a look at how much of the “fun” stuff you’re getting in. you’ll be able to see it on your nutrition-tracking app. Aim for 25-50g daily from your diet. And if you want to fit “junk” foods into your diet, be sure to get in enough fiber first. That way you (hopefully) won’t have to pay for it later! 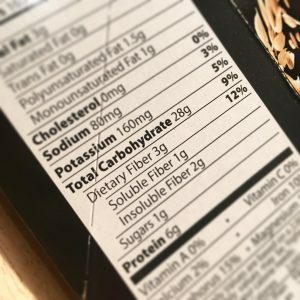 Previous Post: Macro Tracking: What do I look for on Nutrition Labels? 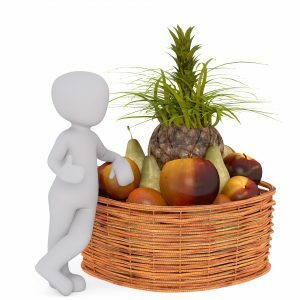 Next Post: Is Organic Food BETTER for you?